6 Can’t Miss Mexico City Tours When Visiting El D.F. While Mexico has always been a tourism hot spot, particularly for those north of the border, Mexico City has never been one of the most popular destinations since the majority or in search of white sand beaches and turquoise waters. But thanks to a lengthy house sitting assignment, I got to experience much of the best that Mexico City and (while continuing the road trip) the surrounding area has to offer, so if you’re looking to hit the ground running, here are what I would consider the best Mexico City tours which will give you a great perspective on this incredible city. Honestly, after having traveled through most of Latin America on my long drive from Seattle to the end of South America, I still hold Mexico City up as one of my favorite cities in Latin America, perhaps only narrowly beaten by Buenos Aires. That’s all to say that Mexico City is incredible and you won’t regret taking the time to explore the depths of all this city has to offer. 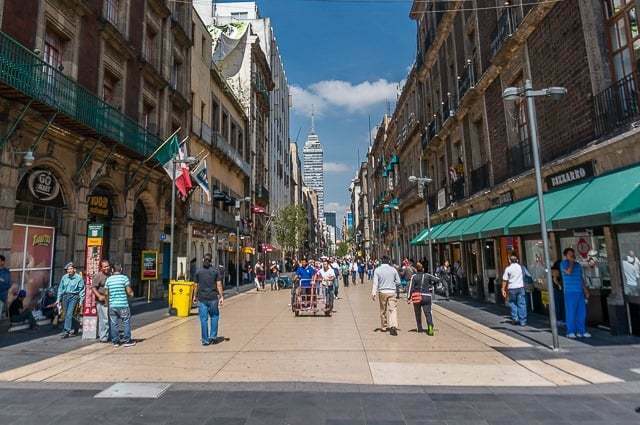 In this article, we will cover a wide range of Mexico City tours both within the city limits and those that you can do as a relatively easy day-trip nearby. If your time is limited, be sure to do #1 and #6 — those are my top picks and what I’d consider must-dos. Mexico City’s downtown is a vibrant and incredible place, full of great architecture, countless eateries, hidden gems, and remarkable stories. 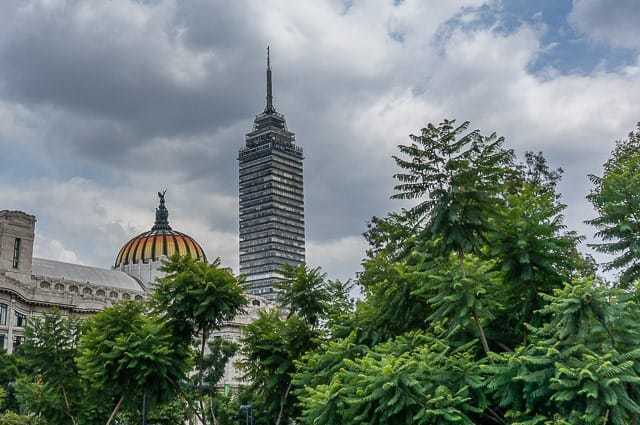 One of my favorite ways to see any city is on foot, and a free walking tour is probably the best Mexico City tour out there. Seriously! It’s something I’d recommend on your first full day in town because it will get you out there and give you a great lay of the land while also offering perspective on where you might like to return to explore (and of course now you’ll know how to get there). You’ll hit the highlights of La Catedral Metropolitana, Bellas Arts, Torre Latinoamericana, Templo Mayor, and much more. These free walking tours are donation based at the end, so you can hand over a tip to your guide of whatever you think it was worth — whether that’s 100 pesos, 200 pesos, or whatever. The historic downtown is best experienced on foot, and you will undoubtedly gain a better appreciation for the history here by tagging along on one of these tours. I’d consider this a MUST DO (along with the last tour on this list) while you are in Mexico City. 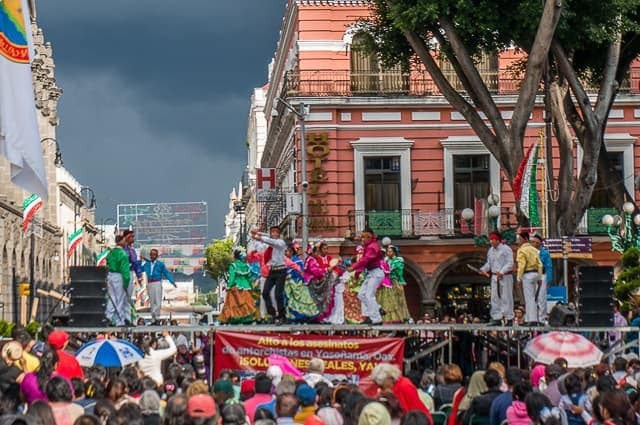 Be sure that you meet up with the Estacion Mexico tours in the Zocalo which can be identified by their official pink t-shirts and pink umbrellas, don’t get tricked into joining another tour group. They meet at the main door of the Metropolitan Cathedral. There’s a reason they’ve got the best overall opinion on TripAdvisor and more than 1,000 opinions! Book your free walking tour now. Mexico City is HUGE and that is no exaggeration. 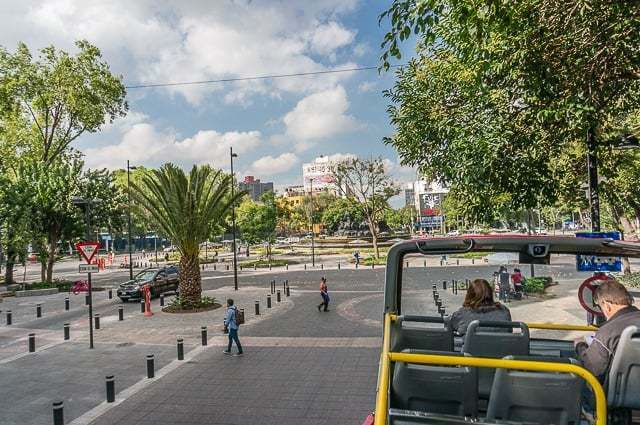 Trying to take in the sights in neighborhoods from Polanco to Condesa or from downtown to Coyoacan can be a huge undertaking. While Mexico City has an excellent metro system, you don’t get to see anything of the beauty and vibrancy of this city when you’re in a tunnel underground. That’s one of the main reasons I recommend the hop-on-hop-off bus tours for one day in Mexico City. You’ll get a great overview of the many different interesting neighborhoods, learn some of the history, hear more about the main attractions, and yes, you can hop off an explore some of those. Just be aware that in terms of hopping on and off, you probably won’t have time to explore all the different connecting bus lines, and also watch out for peak rush hour traffic when everything slows to a crawl. Book your hop-on hop-off bus now. Mexico, in general, is one of the world’s great destinations for food and nowhere in Mexico can rival Mexico City when it comes to food. Not only that, but it is also a street food paradise where you can eat all sorts of amazing things on almost any street corner. You’ve got tacos, gorditas, gringas, churros, elotes, quesadillas, tortas, and so, so much more. If you aren’t particularly outgoing or adventurous, it might be tough to try and determine where to go for Mexican street food and what to ask for when you get to the stand, which is why taking a street food tour can be a huge help. They’ll take you to the best places and introduce you to the delicious Mexico City street food, which will open up a world of cheap and awesome eats for the rest of your stay in town. You won’t go hungry here. They will also take you through a busy and bustling local market, which is an experience in and of itself… Buy a juicy tuna (no, not the fish, but a delicious fruit) and enjoy! Book your street food and market tour now. Like pyramids and Egypt, waterway canals are normally associated with Venice, but Mexico City has those too! Xochimilco (pronounced like so-chi-milko) is a series of intricate canals totaling over 100 miles in length on the southern edge of the city. 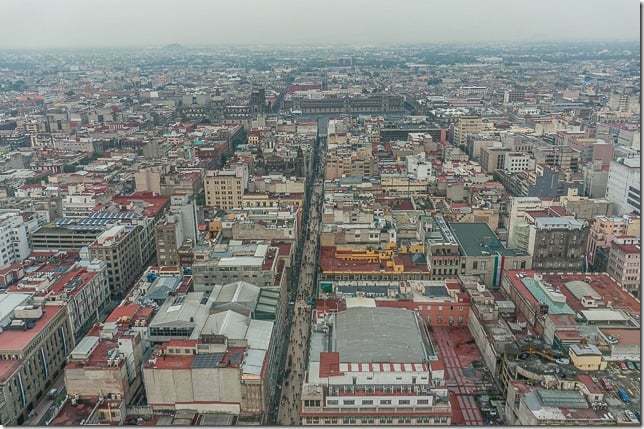 These canals are the remnants of the vast lakes and canals which used to make up the valley, and which is why back in the days of Moctezuma the city sat on an island accessed by a bridge. Today there are colorfully painted boats called trajineras which ply the waterways and in between the floating islands called chinampas. Heading out on the canals isn’t just a tourist trap, it is actually quite popular with locals as well, many of whom head hear on Sundays (so avoid that day if you want to avoid the crowds). This is a uniquely Mexico City tour and one that you would be remiss not to check out. These tours are often accompanied by a visit to the Frida Kahlo Museum, so you can kill two birds with one stone. Or you could opt to take the tour at night while the boats are all lit up for a different experience! Book your Xochimilco canal tour now. While there are almost too many things to do in Mexico City, you may want to take advantage of your time in Mexico’s interior with a day trip to see a whole new area… One of the best day routs, in my opinion, would be heading out to Puebla and Cholula (situated right next to one another). The setting of the towns, beneath the striking volcano of Popocatépetl, which is the second highest peak in Mexico at 17,800 feet, are unrivaled. Puebla is the capital of churches in Mexico and features beautiful, colorful architecture throughout. 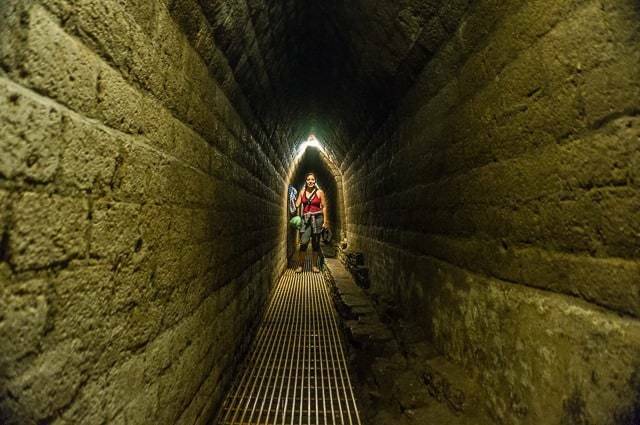 While the main draw of Cholula is the world’s largest pyramid, which has tunnels you can explore like Indiana Jones. It is quite a cool experience! If you’re familiar with Cholula hot sauce, you will be disappointed to know that it isn’t from the town of Cholula, but rather over by Lake Chapala. Alternative day tours to other towns include Taxco and Cuernavaca which comes highly recommended as well. Book your Puebla and Cholula tour now. If you are more outdoorsy in nature, then I’d encourage you to do a day trip that will focus on hiking near the above-mentioned volcanoes. They are quite spectacular and it is a one of a kind opportunity to see and experience. With this amazing tour, you will head to the foothills of Popocatépetl to commence your hike up Iztaccíhuatl in Izta-Popo National Park. Book your full-day Mexican volcano hiking tour now. Who said you’ve got to visit Egypt to see pyramids? 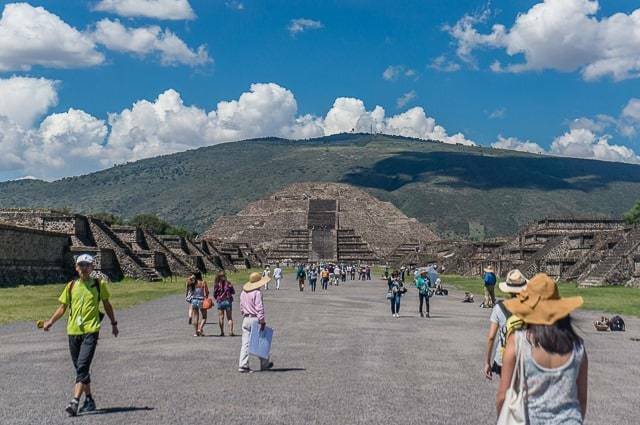 These massive pyramids are truly a sight to behold… While they don’t lie within Mexico City, they are but a short distance away and make for an easy and totally worthwhile day trip. We spent a few days in the area of Teotihuacan (the name of the small town too) which is enjoyable in and of itself. But these pyramids dating from back to 200CE are well worth the visit, and definitely a can’t miss while in Mexico City. You can hike up to the top of the pyramids for a great view, which isn’t often the case at most historic sites like this. Check out my article on the Teotihuacan pyramids for more info. There are numerous tours to Teotihuacan, but the best one, in my opinion, is a full-day tour that couples a visit to Teotihuacan with a stop at the Shrine of Guadalupe, which is an important Catholic pilgrimage site commemorating the reported appearance of the Virgin Mary to Juan Diego, an Aztec peasant. And the third and final stop of the tour is Tlatelolco where the past, present, and future of Mexico meet. This tour will give you the best overall view of the incredible history here. If you’ve got the budget, you could also take an incredible, early morning hot air balloon flight above the pyramids! 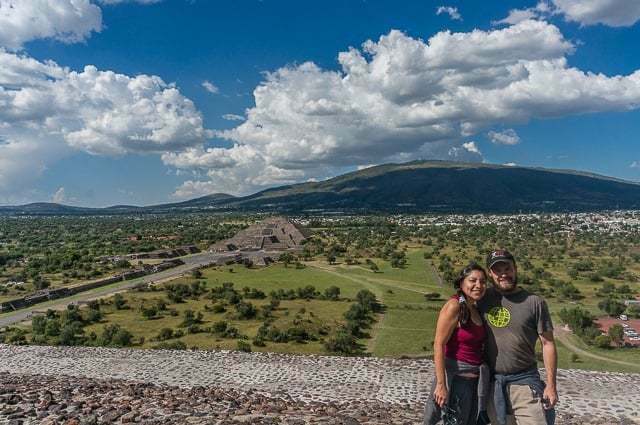 Visiting Teotihuacan is a MUST do while in Mexico City, so you should plan on this one and the free walking tour, at the least! Book your Teotihuacan Pyramids tour now. 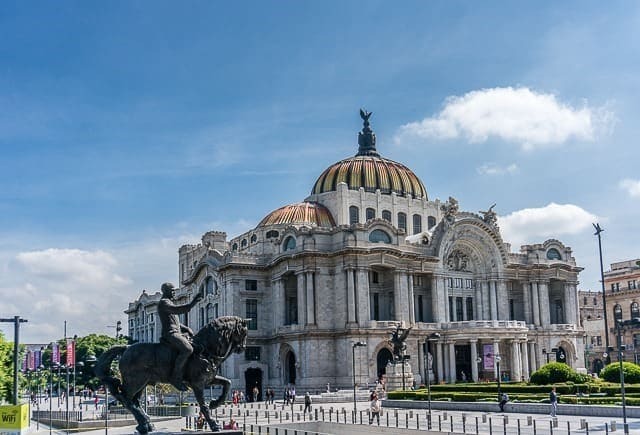 Those are what I’d consider the best Mexico City tours, and ones that any new visitor would be happy to enjoy if they’ve got the time and budget to do so. But there are many other unique Mexico City tourist attractions and sightseeing activities which one should take advantage of, whether it is watching a lucha libre wrestling match, tasting tequila or mezcal, taking in a mariachi performance, or any number of other urban adventures. 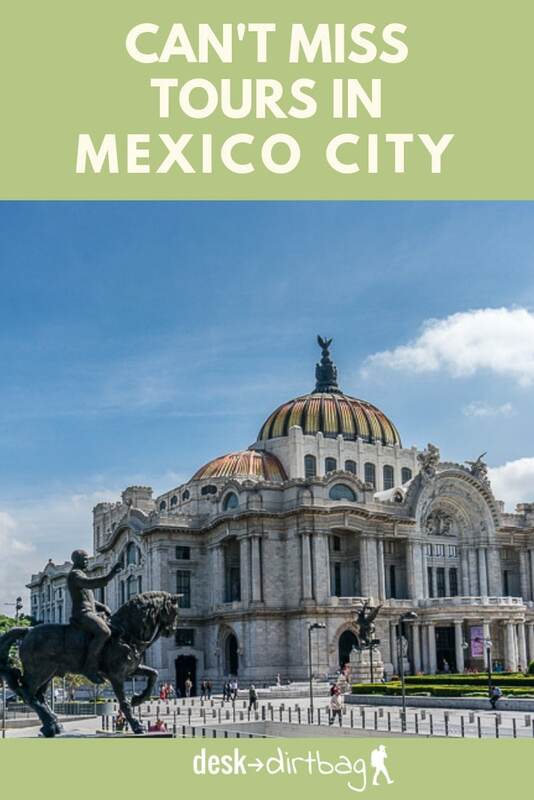 Even though you’re planning to take a guided tour, don’t miss out on my comprehensive guide of things to do in Mexico City so you can pack your limited time full of awesome stuff and great memories. You’re sure to be busy whether you are visiting Mexico City for a few days or a few weeks like we did. Traveling to Mexico City? Be sure to book your hostel or hotel from Booking.com now to save. Did you enjoy this post about the best Mexico City tours? Take a moment to share it on Pinterest, Facebook, or Twitter. Thanks!